Two Jews and an Israeli dog unwelcome at Kempinsky: Orit, Broder, and Chico. 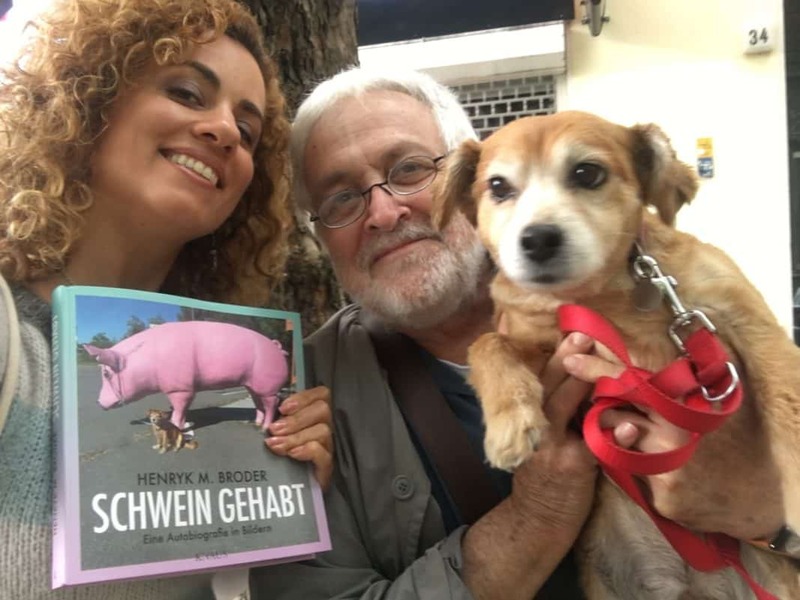 Broder’s new book “Schwein Gehabt” has just been released. Aussie Dave has already covered the fallout of the Kempinski Bristol Hotel suspiciously not including Israel in the list of country codes that guests could dial from their room. This omission came to light when filmmaker Claude Lanzmann wrote about his experience confronting a customer service representative in the hotel as to the reason of Israel’s omission, and was told that it came at the request of Arab clients. Naturally, Kempinski has denied/lied that the omission was not politically motivated. In the latest unfolding drama, well-known Jewish-German journalist and writer Henryk Broder wrote a letter to the hotel, which doesn’t seem to care for his business, as they refused to send him the list of country codes so that he could understand how the hotel curated this dastardly list. Here is the letter as it appeared in Achgut.com in German, and the following is my translation (with a little help from Google). I would like to book a room with you, but I have come across this report by Claude Lanzmann in today’s FAZ. Is there an official response to this report? I would very much appreciate your prompt reply. We cannot confirm the statements attributed to the employee as described by Claude Lanzmann in his August 11 in FAZ. There has been and is no directive on the part of the hotel management of Kempinski AG to exclude the Israeli country code from the country code list. This would go against our principle of hospitality and openness towards all. We would like to emphatically state that the official list does not constitute a complete list of all country codes; rather, it consists of a selection of only 35 country codes out of 193 countries worldwide. There was no deliberate reason for Israel to not be included in the list, and we have supplemented the list accordingly. As a matter of principle, all guests are cordially welcome here. Please accept our sincere apologies if the absence of Israel from the country code list has hurt the feelings of Mr. Lanzmann. We hope that with this statement we have set your concerns aside, and that we will greet you in our home very soon. Would it be possible for you to send me a list of the 35 country codes that are a part of this selection? 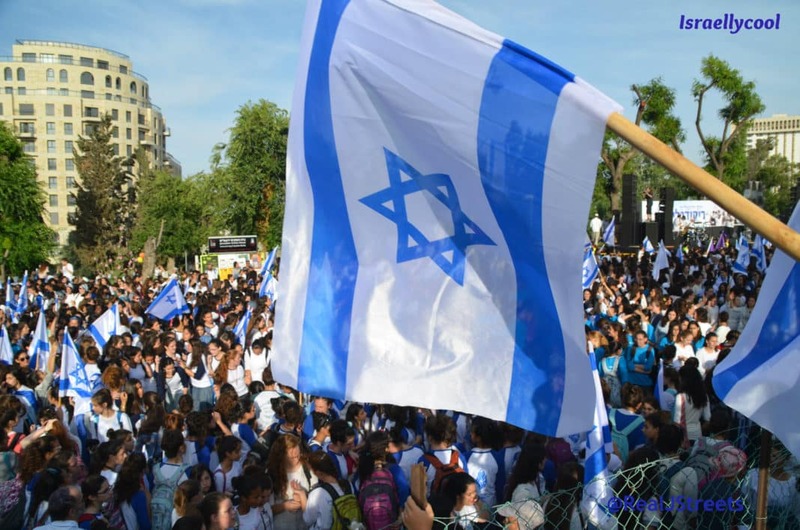 Must it now include 36 countries to make space for Israel? Thank you for your reply. Please understand that I am unable to send you the list. Ah, it is surely under secret-lockdown by the Palestinian unit of the Reich Security Headquarters! No, I do not understand, and henceforth I will similarly boycott your hotel as well as the other properties belonging to the Kempinski Group. Following this exchange, Broder received a call from hotel management offering to meet him. He reasoned that they did not want to put anything on written record. He asked for a written response. He is still waiting.